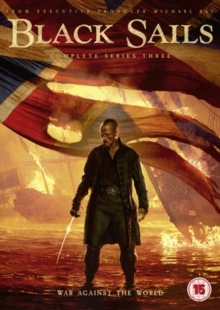 All ten episodes from the third series of the adventure drama starring Zach McGowan and Toby Stephens. Written as a prequel to Robert Louis Stevenson's 'Treasure Island', the story follows Captain Flint (Stephens) and his crew as they battle with enemies to keep control of New Providence Island. In this series, Flint and his crew wage war against the world, Vane (McGowan) encounters an old friend and Jack (Toby Schmitz) starts repairs of New Providence Island's fort.